The Mazda CX-5 invoice price and the true dealer cost are not the same. Note: The Mazda CX-5 pricing report below does not include rebates or incentives. 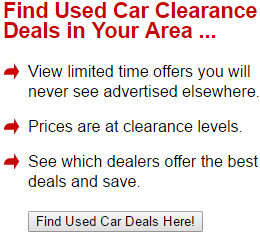 View Mazda Rebates and Incentives. Mazda CX-5 Prices - How Much is a Mazda CX-5? Drivers looking for a spirited vehicle will find plenty to love in the 2019 Mazda CX-5. It handles excellently for a small crossover SUV, and the high-quality cabin materials only make it all the more attractive. This year, the Mazda comes with two new trim options: the Grand Touring Reserve and the Signature. In both cases, you get more premium features than the lower trims, and they get a 2.5L four-cylinder turbo engine. You might recognize the engine from Mazda's own CX-9, which produces a healthy 310 pound-feet of torque and 250 horses. The optional engine answers a big problem that the CX-5 suffered from in previous years; it couldn't match the power of its competitors. Unfortunately, only the top two trims get the extra power, and all trims suffer from reduced cargo room. Still, the 2019 Mazda CX-5 stands out in this segment. It's a sporty, practical ride that doesn't sacrifice on comfort or cabin material, making it an excellent luxury choice. The 2019 Mazda CX-5 is part of the second generation, which was introduced two years ago. This year, Mazda adds smartphone integration via Apple CarPlay and Android Auto. There's also a more powerful engine, but it's only available on the Grand Touring Reserve and Signature trims. Also, there's now a surround-view parking camera and an option for ventilated front seats. The 2019 Mazda CX-5 is a crossover, and this year it's worth checking out the Grand Touring Reserve. The Grand Touring Reserve may fetch a premium price, but it comes with premium features. Of course, none of them are as exciting as the four-cylinder turbo engine, giving the crossover the power it needed. If you're not able to commit to the Grand Touring Reserve, then the Touring is the next best thing. The lower three trims get a 2.5L four-cylinder engine could for less than 200 horses and pound-feet, sending that power to the front wheels. The upper two trims get the better turbo engine, cranking out 227 horses and 310 pound-feet to all the hoops. In all cases, you get a six-speed automatic transmission. The Sport gets a reasonable amount of equipment, like 40/20/40-split reclining rear seats, 17-inch wheels, dual USB ports, and a leather-wrapped steering wheel. Also, you get warnings for low-speed forward collisions and rear cross-traffic alert with blind-spot monitoring. The Touring trim offers much of the same features along with the i-Activsense suite of safety bonuses. Besides this, you get simulated-leather upholstery, two extra USB ports, heated front seats, and dual-zone auto climate control. In addition to the above, the Grand Touring gives you heated rear seats, 19-inch wheels, ventilated front seats, power-folding mirrors. The steering wheel also gets heating capability added to it, adding to winter driving comfort. Going up further takes you to the Grand Touring Reserve trim, which adds all of the optional features from the Grand Touring as standard. At this level, you get the stronger engine along with an all-wheel-drive setup. Finally, the top of the line is the Signature trim. Here, you get parking sensors in the front and rear, wood trim accents, a better-quality leather cabin, and exclusive interior lighting. If there's one thing Mazda is known for, it's the way its cars dominate handling. If you need to turn frequently or traverse twisted roads, the 2019 Mazda CX-5 tops any other crossover you can get. Of course, you won't get there very fast; there's hardly any thrust even when you're trying to deliver it. As mentioned, the 2.5L engine doesn't impress with its acceleration at any point. In fact, you'll need to plan ahead if you want to pass someone on the highway. It takes 8.7 seconds to reach 60 miles per hour from a standstill, which doesn't seem slow by the numbers, but it's unimpressive in the real world. The CX-5 has predictable brakes and a reasonable amount of firmness in the pedals, so you won't struggle to control your speed. From 60 miles per hour, the Mazda takes 121 feet to reach a complete stop, which is average for the segment. Other crossovers have lighter steering, but the heft just enhances the sporty drive of the Mazda. It's never challenging to round corners, and you can park in lots with simplicity. At higher speeds, there's a small buildup of effort, so you will always know where you're pointing the crossover's wheels. As mentioned above, the Mazda truly excels in its handling. A communicative configuration lets you turn a corner at a higher speed without risk of body roll or protest from the tires. Simply put, it's the best of its kind in this category. The automatic transmission also shines here thanks to its lack of eagerness to immediately go into high gear. That said, it's also not eager to downshift, waiting until you give it no choice. In Sport Mode, you'll have to release the gas completely to drop gears. 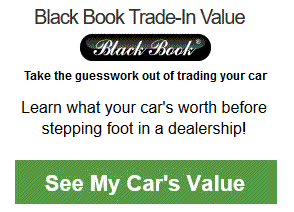 Example: Base Mazda CX-5 invoice price + the dealer Invoice price of options + destination - Holdback = Total Dealer Cost. 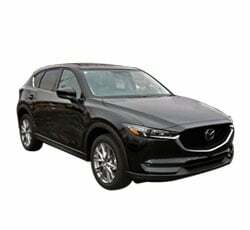 Note: All Mazda CX-5 MSRP, invoice and dealer cost dollar figures above are approximate amounts. Prices are subject to change without notice.